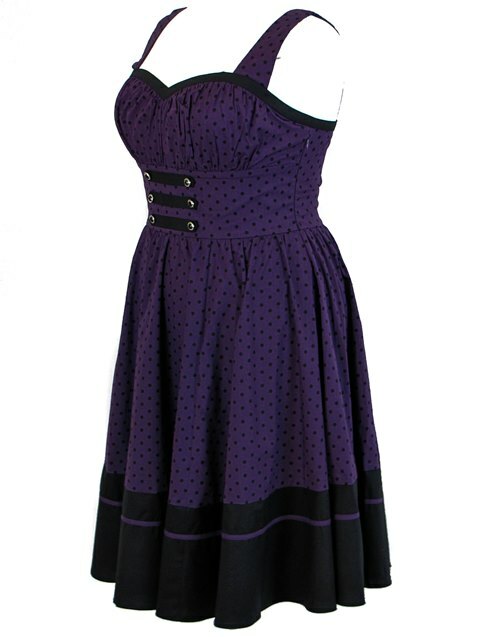 Plus Size Black and Purple Polka Dot Flirty Rockabilly Dress [730S2] - $54.95 : Mystic Crypt, the most unique, hard to find items at ghoulishly great prices! 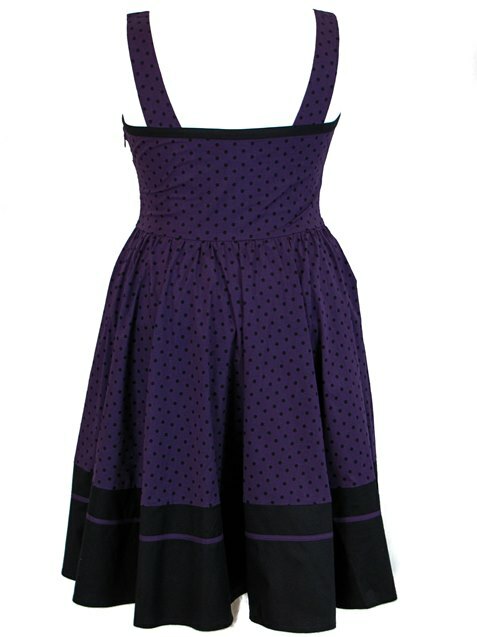 Plus Size Black and Purple Polka Dot Flirty Rockabilly Dress. 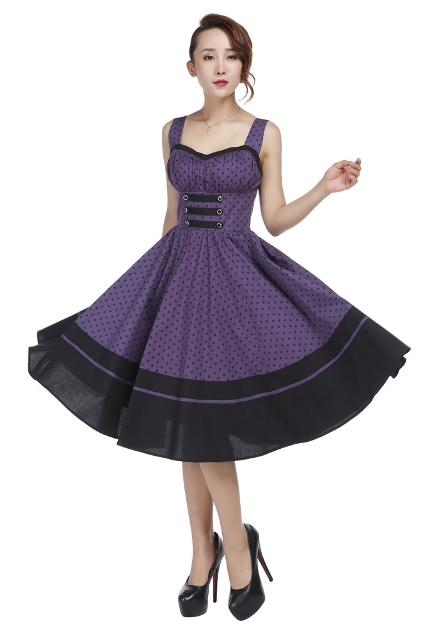 This retro pinup dress features with full skirt trimmed in a contrast band and coordinating ribbon. Buttoned tab details on midsection. 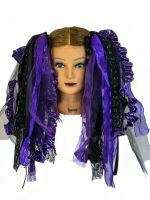 Ruched bust with trim band. Side zip. 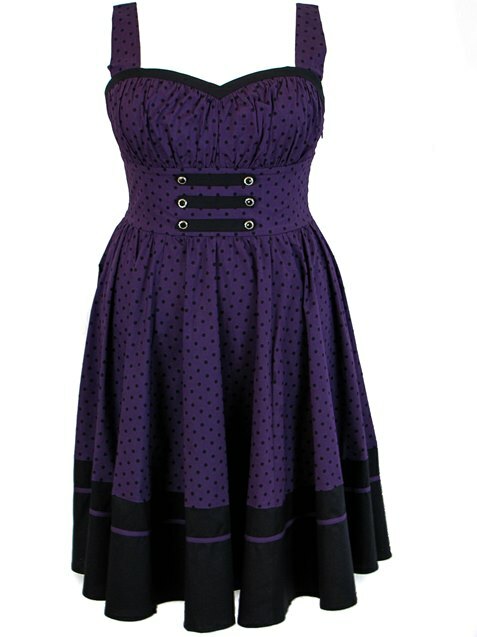 The petticoat is not included. Plus size approx. length: 35 inches. 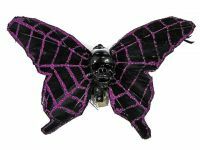 1X approx length: 33 inches.